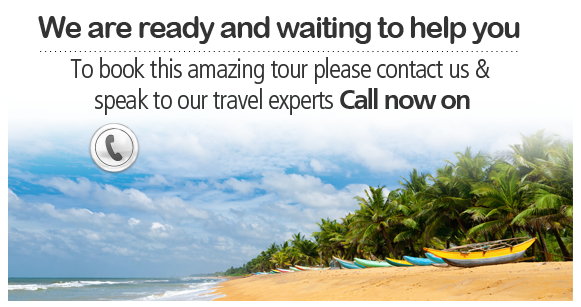 Experience the best that the stunning island of Sri Lanka has to offer on this eight day trip, which allows you to discover the heritage and history of this Asian paradise. 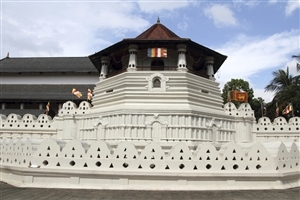 Arrive in Colombo and journey to the cultural triangle of Sri Lanka, an area in the centre of the island that is home to many of its ancient wonders. Having stopped en-route to sample the sweet pineapple that grows in the area, you can then explore during the afternoon, with the option of a safari to the Minneriya National Park to view the large number of wild elephants. The morning begins with the chance to take a relaxing trip to a local village, with an optional excursion to Anuradhapura, a city famous for its well preserved ruins of early Sri Lankan civilisation. 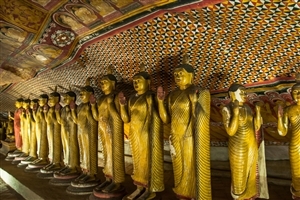 During the afternoon, visit the stunning World Heritage Site that is the Dambulla Rock Temple, where you can find hundreds of Buddha statues and huge wall paintings. A trip to the town of Polonnaruwa will allow you the opportunity to explore another of the World Heritage Sites located in the cultural triangle, with a series of ancient buildings located within the city walls. 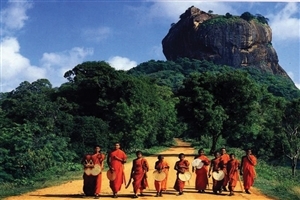 In the afternoon, you’ll move on to the Sigiriya Rock Fortress, which dates back more than 1,500 years. A climb to the top affords stunning views over the surrounding area; including the moat and water garden at the base of the towering rock. Set off in the morning for the trip to Kandy for a two night stay, stopping off en-route to pay a visit to Sri Lankan spice garden. Having arrived in the city, you’ll pay a visit to the Temple of the Tooth, one of the most important Buddhist relics in the country, and enjoy a cultural show with traditional dancing. A relaxing morning gives you the opportunity to spend time exploring both Lake Kandy and the second largest city in Sri Lanka. 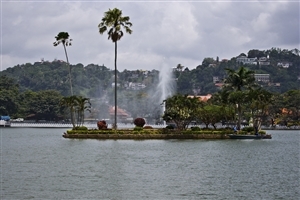 A peaceful stroll around Kandy’s botanical gardens follows in the afternoon. Weather permitting, enjoy a train ride through Sri Lanka’s tea country for the perfect way in which to admire the many local hill villages. On arrival in the highland city of Nuwara Eliya, you’ll be able to explore the scenery of the resort and also pay a visit to a local tea factory. Leaving the tea plantations behind, you’ll travel south through Sri Lanka’s stunning hill country, with its luscious green hills and dramatic peaks, to take up your chosen wildlife safari. Those heading for the Yala National Park will hope to see one of the many leopards that live in the area, with Sri Lankan Elephant and water buffalo amongst the animal life to be found in the park. The chance to see elephants will be a highlight for those who head for Udawalawe, with a large herd being resident in the area. Alongside your safari, you’ll also be able to visit the Elephant Transit Home, which has been set up to care for abandoned calves found within the park. Leaving your safari behind to head for the fortified city of Galle, where you can take time to admire the sights, which includes St Mary’s Cathedral, the natural harbour and the picturesque Galle International Stadium – where world famous cricketer Muttiah Muralitharan took a record-breaking 800th test wicket in his final game before retirement. You’ll then head back to Colombo for the end of your trip and your onward journey.